Rapid, often startling technological changes are forcing businesses around the globe to defend their territories and reevaluate outdated product lines. The phenomenon has been dubbed the digital disruption, and it has already crippled traditional industries such as retail and media. 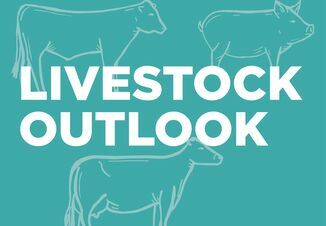 The effects may not yet be visible from your perch at the local auction, or from the saddle as you ride pastures checking cattle. But the digital disruption is rapidly upending the meat industry, too, which spells changes to the type of cattle packers will want to buy. Under the direction of CEO David MacLennan, Cargill, already the world’s leading supplier of ground beef and the second-largest U.S. beef packer behind Tyson, is betting on the growing global demand for proteins. Cargill is expanding into aquaculture and even alternative, plant-based and lab-grown meats. Cargill’s transformation includes the sale of some underperforming units, such as the energy trading unit, a hedge fund, and its pork operations that were purchased by JBS SA for $1.45 billion in 2015. Tyson has made similar strategic business moves. The Springdale, Ark.-based company with $38 billion in revenue last year, initiated Tyson Ventures in 2016 with $150 million to invest. Like Cargill, Tyson has invested in lab-grown meat startups Beyond Meat and Memphis Meats. Last month Tyson sold its Sara Lee Frozen Bakery and Van’s businesses to private equity firm Kohlberg & Company. Analysts say the moves by Cargill and Tyson indicate a shift to focus on being protein companies, not just meat companies. “The traditional supply chain models are changing,” says Janette Barnard, sales and marketing director for DecisionNext, a prescriptive analytics company that translates forecasts into recommendations to help meat and food companies make better business decisions. If the thought of such disruption to your ranch makes you uneasy, maybe it shouldn’t. Producing beef that meets certain specifications will require a verification system, but that’s also an information system that can flow both directions. Producers aligned with packers that supply products to new-age retail food companies will receive valuable feedback. New players in the retail beef business and home delivery systems also suggest new opportunities to Harvey Dietrich, whose career has straddled both the production and packing segments of the industry. Dietrich speaks from experience. He owns Cholla Livestock and the 750,000-acre Diamond A Ranch, the largest ranch in Arizona. His operation consists of 6,000 cows, and he owns cattle in other Western states. In 1982, he started Sun Land Beef Co. in Tolleson, Ariz., which became one of the top 20 beef packers in the U.S. 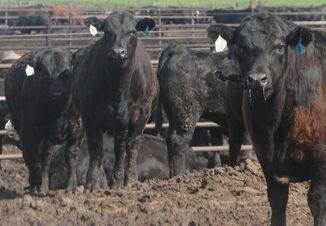 In 2008, Dietrich sold Sun Land, which processes 1,700 head per day, to Packerland Beef. 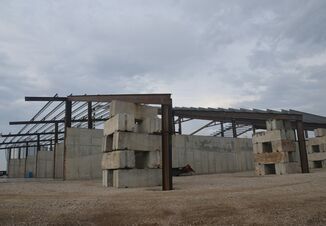 The facility is now operated by JBS USA. Barnard suggests producers embrace the digital disruption and seek opportunities to create additional value for your production. As holder of the Engler Chair in Entrepreneurship at the University of Nebraska-Lincoln, Tom Field has a tremendous influence on students who might become tomorrow’s beef industry leaders. Now in its eighth year, the Engler Agribusiness Entrepreneurship Program was made possible through a $20 million gift to the University of Nebraska-Lincoln from the Paul F. and Virginia J. Engler Foundation. Engler is a Nebraska native who became a pioneer in the Texas cattle feeding industry and founder of Cactus Feeders, which now operates nine feedyards with a one-time capacity of more than a half-million cattle. Field’s job is to execute the mission at the Engler Agribusiness Entrepreneurship Program, which is: To build enterprises that contribute value to agriculture and communities by nurturing, challenging and equipping entrepreneurial talent. He encourages students to expand their knowledge and learn from the experiences of others. Drovers asked Field to identify books he asks entrepreneurial students to read. Here are his top three. Simon & Shuster, Copyright 2017. By Kenneth R. Thomson, Ramon L Benedetto, Thomas J Walter, with Molly Meyer. Greenleaf Book Group, Copyright 2012. Do Probiotics Mitigate or Contribute to Antibiotic Resistance?